In 2014 the Portuguese Parents of Premature Babies Organization launched C.A.R.E. (Cuidados de Apoio a Recém-nascidos Em Risco), a European Union funded project whose main objective was to improve the experience of care for premature infants and their parents in the neonatal intensive care unit (NICU) in Portugal. Sobreviver, which translates to 'survive', was a pilot project under the C.A.R.E program that focused on standardizing the practice of Kangaroo Mother Care (KMC) in three NICUs in Portugal. Employing a systematic, evidence- and competency-based approach, each hospital achieved statistically significant improvements that were sustained over time! The project was published in the December 2015 issue of Newborn Infant & Nursing Reviews! Check out the video that one of the hospitals developed to celebrate their success! 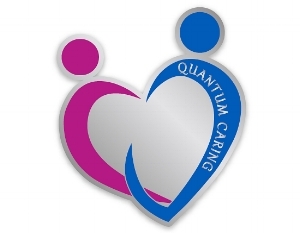 The Quantum Caring Program at Children's Healthcare of Atlanta, Egleston Campus has successfully translated and integrated the National Association of Neonatal Nurses (NANN) Clinical Practice Guidelines for Age-appropriate Care of the Premature and Critically Ill Hospitalized Infant into the culture of care in their Level IV surgical NICU. McGinnis, K., Murray, E., Cherven, B., McCracken, C., & Travers, C. (2016). Effect of Vibration on Pain Response to Heel Lance: A Pilot Randomized Control Trial. Advances in Neonatal Care, 16(6), 439-448. The project has fostered professional development and scholarship across disciplines. The team continues to ensure sustainability of the existing success while expanding the breadth of their practice improvements in neuroprotective care. The concept of trauma-informed care in the NICU has become a paradigm that resonates with transdisciplinary neonatal clinicians, world-wide. An international survey has been completed and results favor this credential as a method of validating the importance of developmental care as well as conferring an expert status on the certificant.